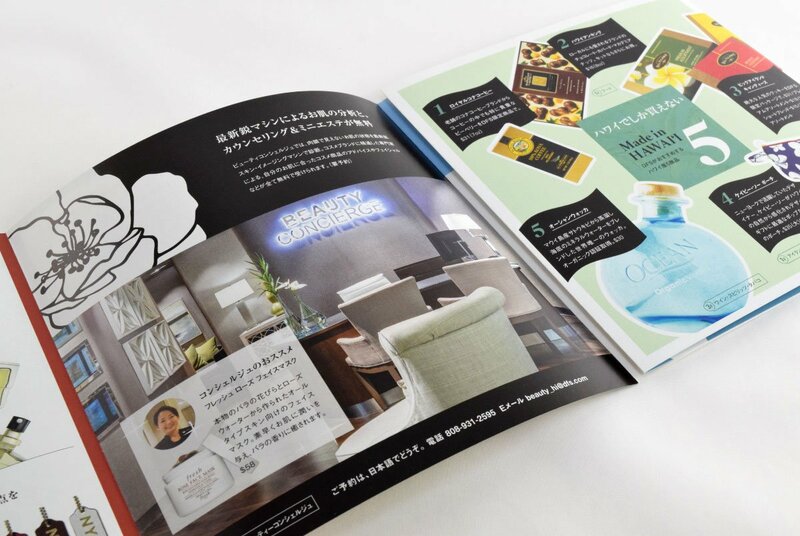 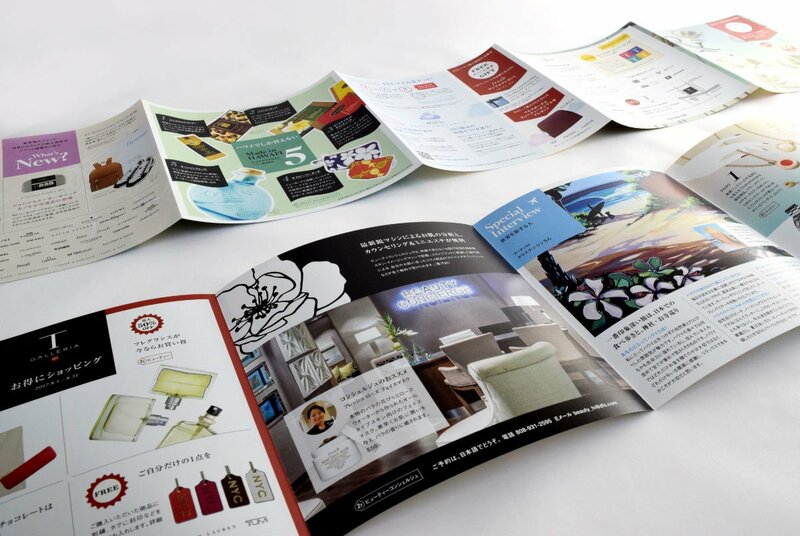 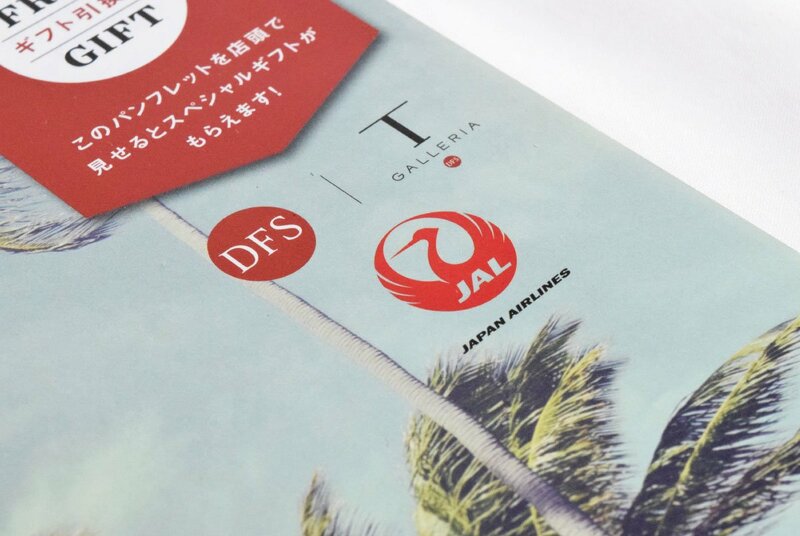 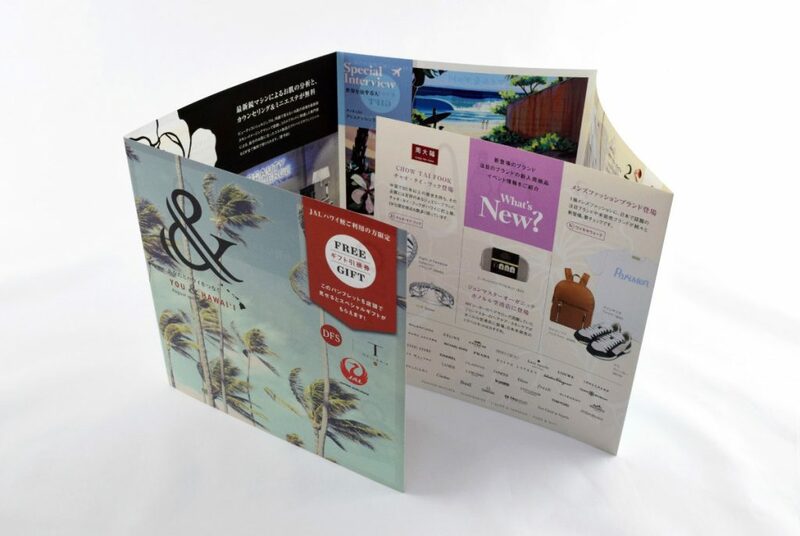 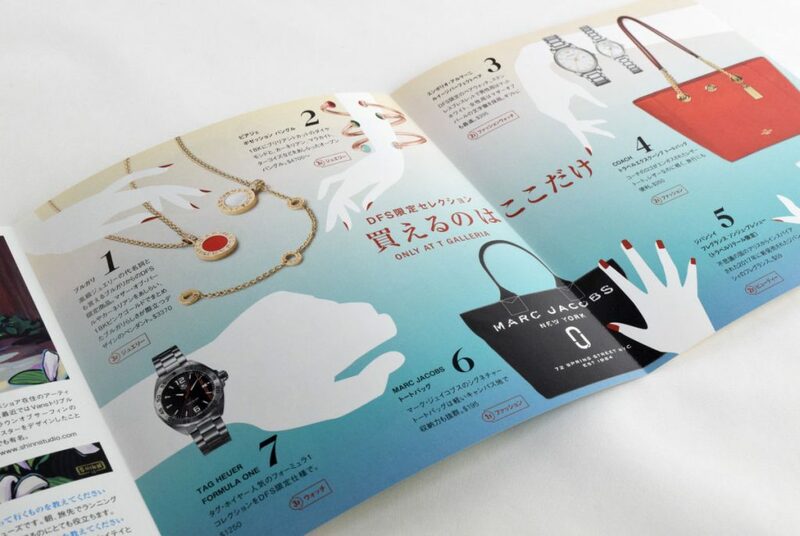 The client needed a pamphlet to promote DFS Hawaii to the Japanese travelers on board Japan Airlines (JAL) flights to Hawaii from Japan. 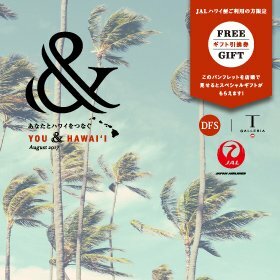 The goal was to increase the number of visitors to DFS Hawaii and to raise sales. 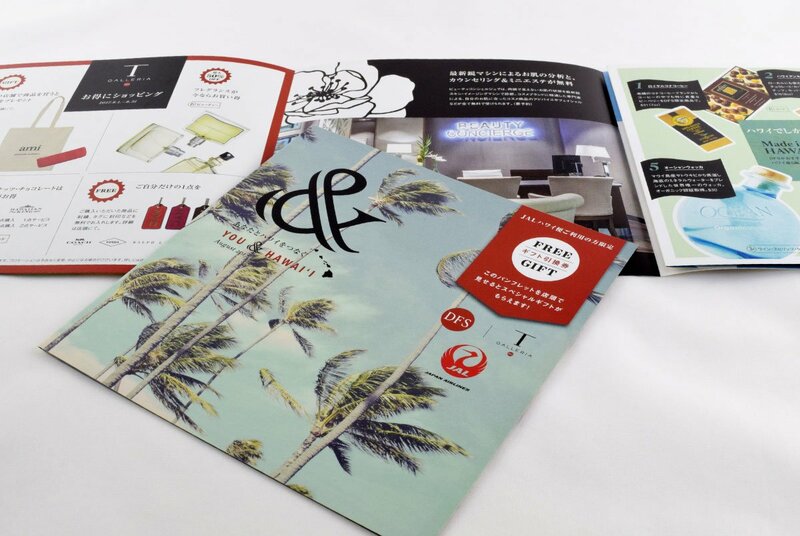 The number of people who came to exchange their gift coupons increased by about 40 times, which contributed greatly to sales at DFS Hawaii. 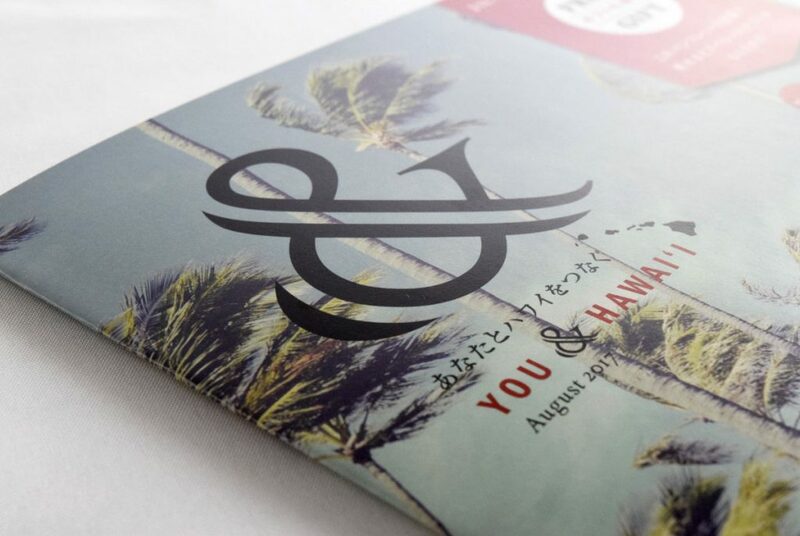 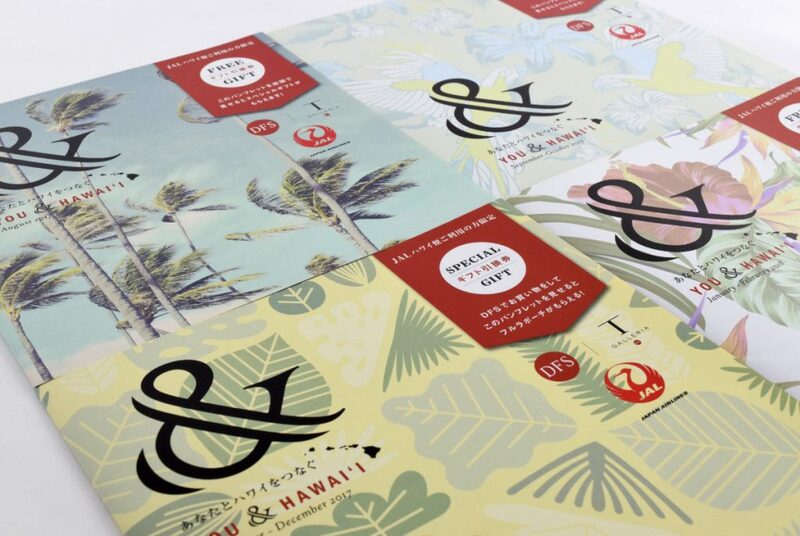 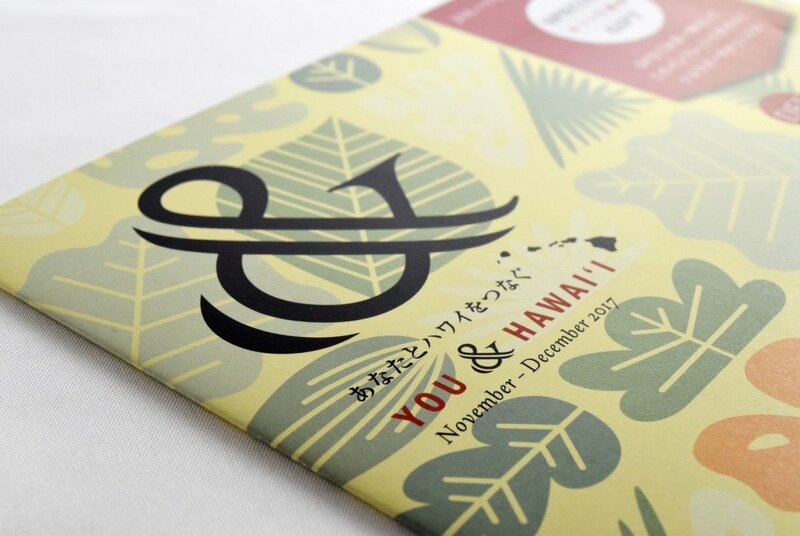 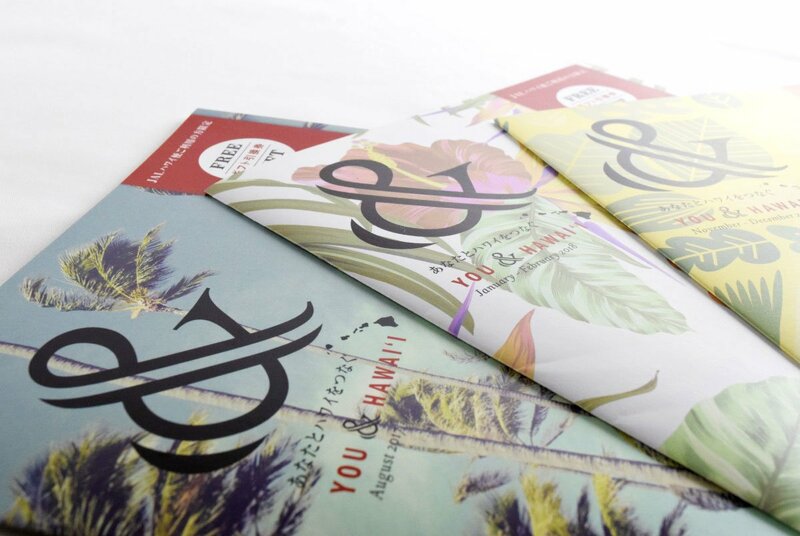 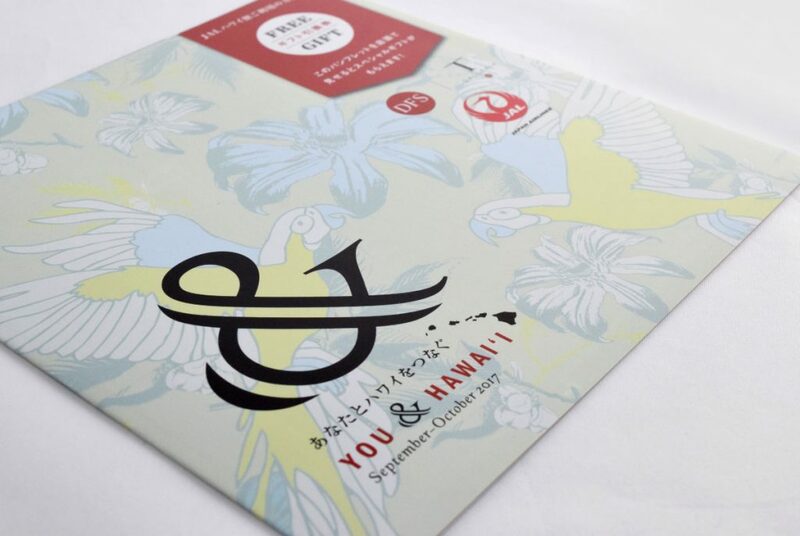 “YOU & HAWAII” is a magazine/pamphlet that displays various information from ongoing sales at DFS Hawaii, to news stories about luxury brands, and interviews with people living in Hawaii. 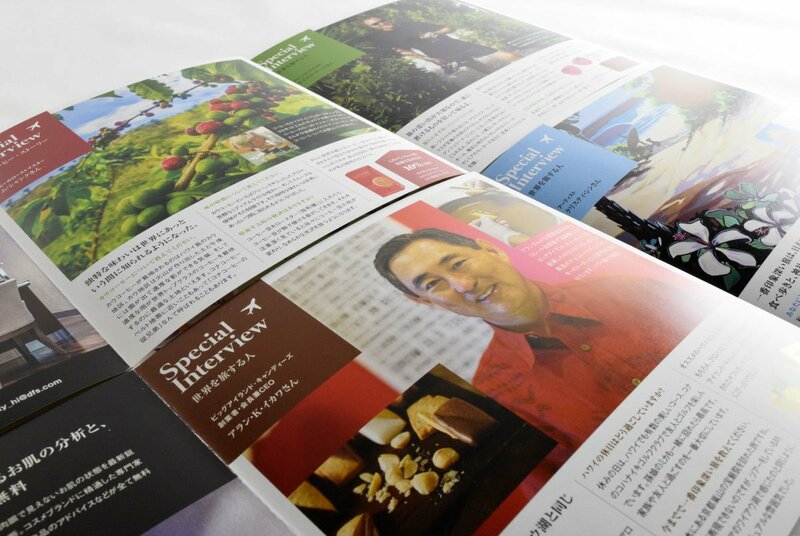 We made the publication stand out by making it a slightly large square, which is different from the other leaflets that are distributed in the flight cabin. 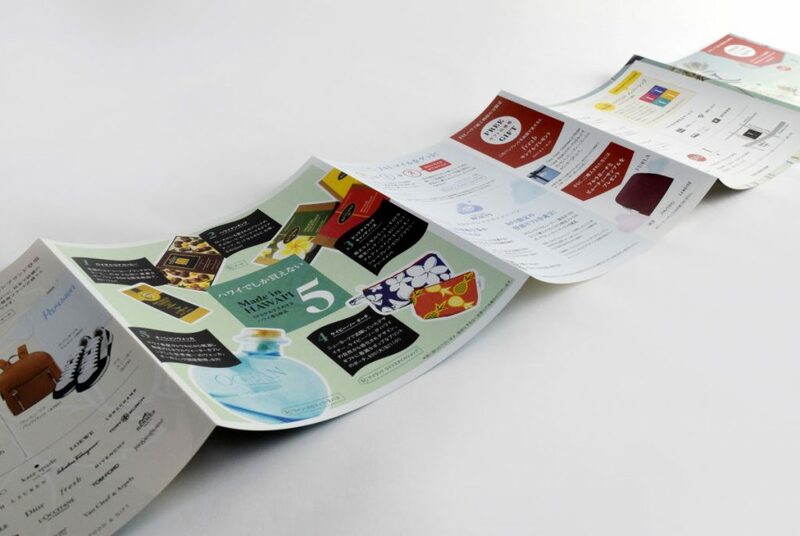 By making the publication an accordion fold, we hoped to give a strong impact to readers. 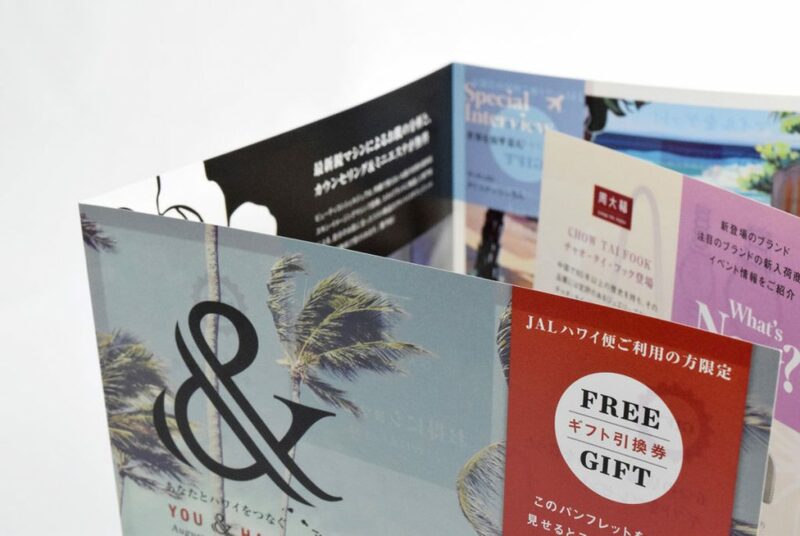 On the cover, we aimed to increase the number of visitors by putting visual emphasis on the gift exchange coupon. 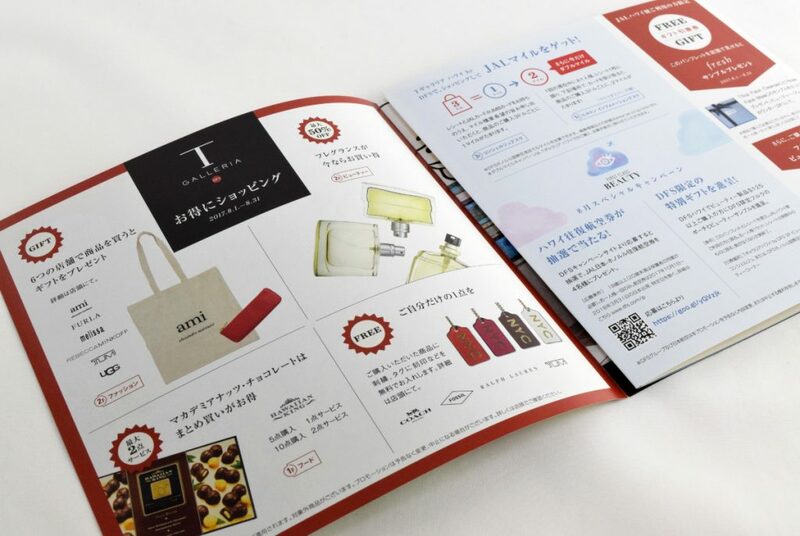 As a result, the number of people who came to exchange their coupons increased by about 40 times compared to previous months, which led to significant results.